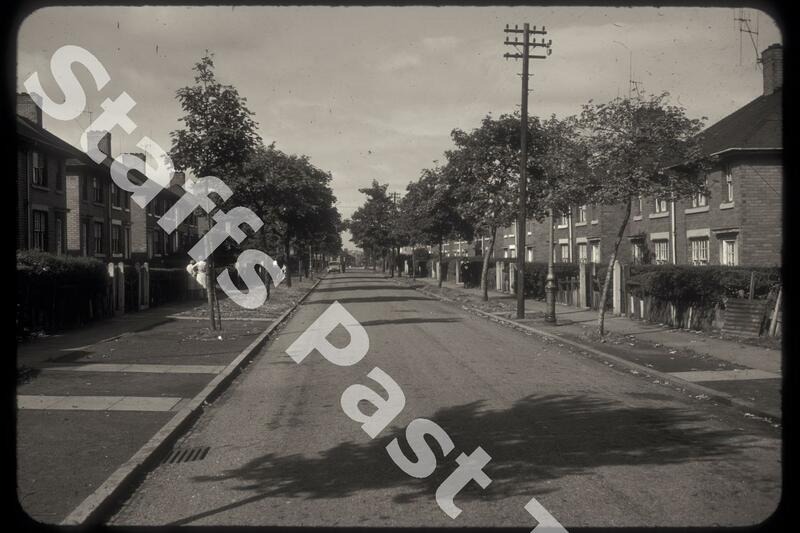 Description:Looking west along Ballinson road from the end of Elm Place in Blurton. This estate was laid out in the 1930s. 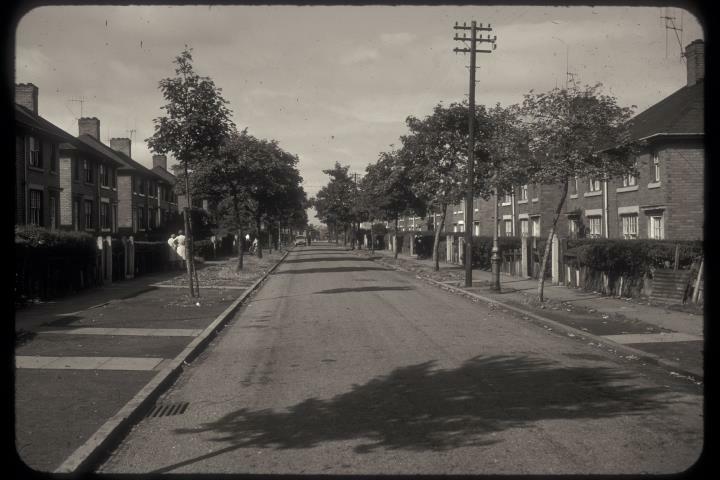 The view is much the same today, although fewer trees and front gardens changed to off road parking.